Do you have access to a lot of bamboo and are wondering if you can apply it at home? One way for you to use bamboo on your property is to make a bamboo fence. There are many reasons to build a fence to put on your homestead. Your privacy and security will be two important reasons. The key to being able to make a bamboo fence to use on your property is building a suitable frame. This can easily be done by using 2×4 boards and 4×4 posts. You will be constructing panels that you will need to attach to the frame of the fence. You can secure the bamboo you will use to make a bamboo fence with ties or by using screws. Screws will be a better option for security, but a lot of work will be required. 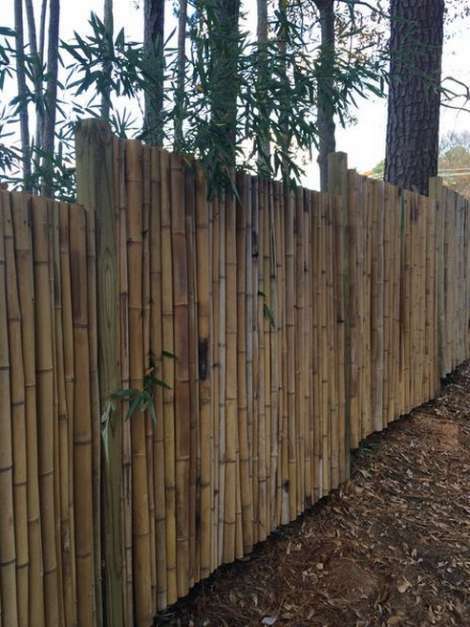 You also have the option to have the fence be completely level or have the bamboo be staggered.